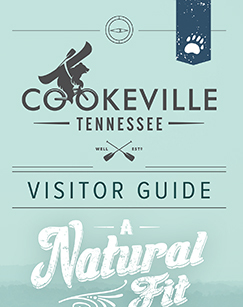 Every city has their own distinct sound, and Cookeville is no exception. From jam sessions at a local brewery or restaurant to cheering crowds at a sporting event to the laughter generated during a theatre performance, Cookeville "sounds" entertaining to us. Cookeville serves as a music incubator to nearby Nashville, and is the hometown of Judah Akers, lead singer for the “Folk, Hop N’ Roll” band Judah & the Lion. You can catch them performing at local community events like Fall FunFest. A venue not only to great, young artists like Judah & the Lion, but Cookeville has hosted long-time legends as they've graced stages around the city. Everyone from Booker T. & the M.G.’s to Charlie Daniels to James Taylor to Tina Turner have played in Cookeville, Tennessee. Garth Brooks even notes Cookeville as 1 of 7 Tennessee locations that changed his music career. The legendary 7 Diamond singer/songwriter sites a show in Cookeville as the location he was discovered following a 1990 show at Tennessee Tech’s Hooper Eblen Center. It was here that head of Capitol Records Jimmy Bowen saw Garth perform.The performance drew the crowd to a standing ovation, an ovation that started in the back of the room, Bowen's first time witnessing such. It was that performance that sold Bowen and Capitol Records on Garth.